This week has totally gotten away from me. We’re showing our condo and it’s really hard to cook when you have people visiting your house all evening! 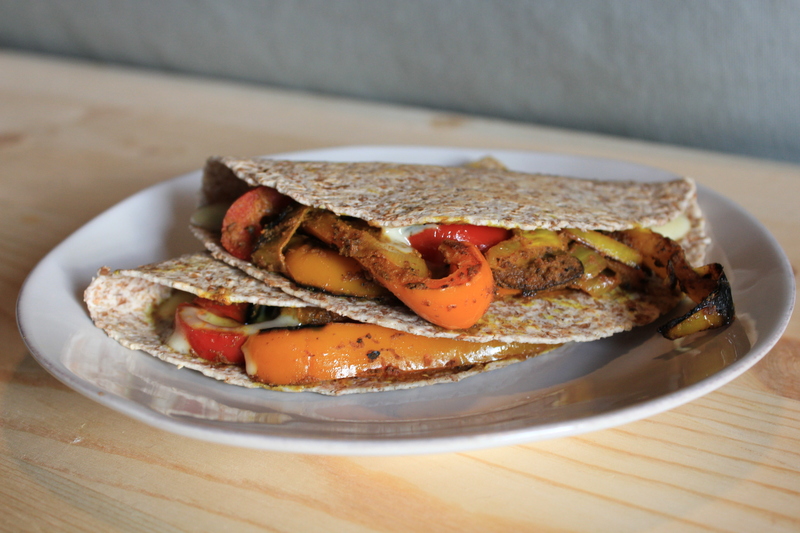 These veggie quesadillas are a quick and delicious meal when you don’t have a lot of time to cook, wash and put away the dishes before someone comes over. I used the same spice mixture from my fajita recipe, sprinkled some chihuahua cheese on top, threw them on the Griddler and had a great meal before I knew it! Combine 3 tbsp of oil with the turmeric, cumin, coriander and cayenne pepper and stir to form a paste. Add the peppers and onions to the spice mixture and toss until peppers and onion are well coated. Heat remaining tablespoon of oil in a skillet over medium-high heat. Add the spiced peppers and onions to the pan and saute until soft. Once they are soft, add the mushrooms and saute for another 3 minutes. Turn the Griddler to high or heat a pan over medium heat. 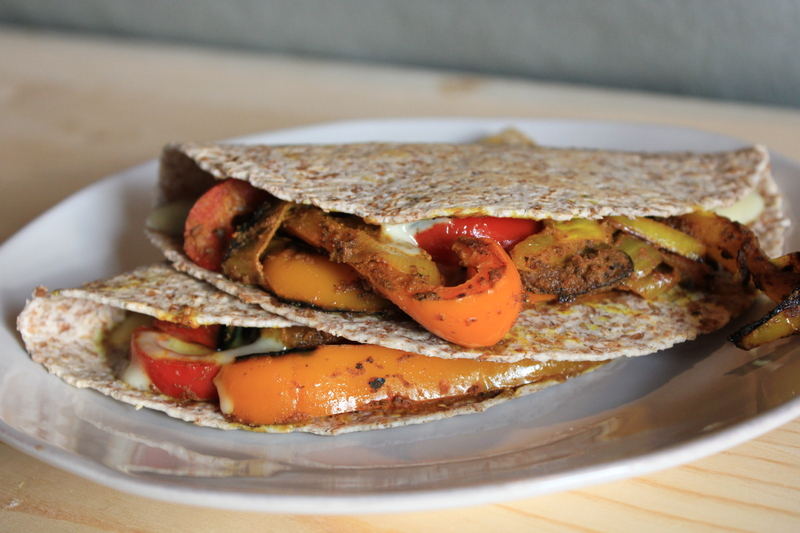 Fill half a tortilla with the vegetable mixture, sprinkle with cheese and fold in half. If using the Griddler: Place the folded tortilla on the Griddler, close the top and cook until cheese has melted. If using a pan: Place the folded tortilla on the pan (you may need to hold the top down) and cook until the tortilla is golden brown on the bottom. Flip the tortilla over and cook until the cheese has melted.